Right now, we are working in two public hospitals in Phnom Penh, training doctors and physical therapists and helping establish procedures for evaluating and treating patients with speech or swallowing problems. 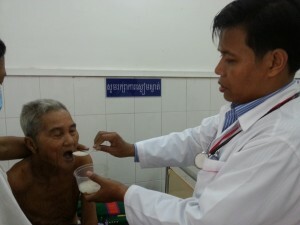 This means that for the first time in Cambodia, patients who arrive at public hospitals with life-threatening swallowing difficulties can be seen by trained professionals who can then recommend appropriate treatments. At Khmer Soviet Friendship Hospital (KSFH), we are training three neurologists and a physical therapist; and at Calmette Hospital, we are training nine physical therapists. All of these doctors and PTs work as first contacts with patients who have experienced strokes or other physical problems or injuries which result in swallowing (dysphagia) or speech difficulties. The program at KSFH is now completing its second year, which represents approximately nine months of direct training (since STC speech therapists are in currently in Cambodia 4-5 months each year). The PTs at Calmette have received about four months of training. 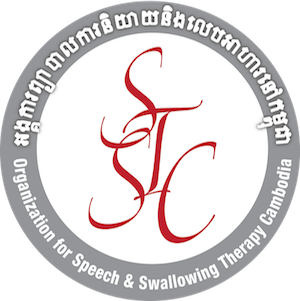 In January, with the help of more STC speech therapist volunteers, we will have programs running at five centers in Phnom Penh. In additon to KSFH and Calmette, we will initiate training programs at Kossamak Hospital, the National Pediatric Hospital. We will also start a program at the new Preak Sihanouk Geriatric Center, a facility supported by the Cambodian Royal family. 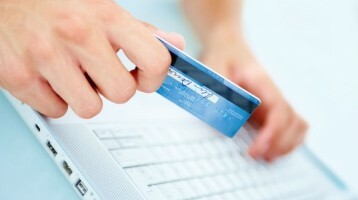 More on all of these exciting initiatives in our subsequent posts.